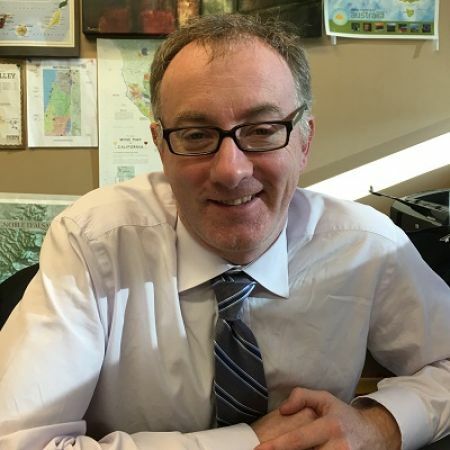 Stephen C. Fahy, DWS is the Sales Director and Senior Buyer at the Wine Library, and is passionate about the business of direct-to-consumer wine education and the complete customer service experience. He has proven to be a specialist in finding and promoting a wide range of exciting wines from around the world, working directly with importers, distributors, and the wineries themselves. His palate is widely recognized by an ever-growing local, regional and national consumer base, due in large part to the extraordinary quality of the wines he selects to put on offer, and loves the excitement of the business, especially when his contagious enthusiasm spreads to others. For more than a decade prior to Stephen’s role at the Wine Library, he managed and ran the wine retail programs for other key, large scale wine merchants in both New Jersey and Manhattan. He also serviced and sold to some of Manhattan’s top restaurants and retailers while a Wine and Spirits Consultant with Winebow. Stephen has been an active Adjunct Professor teaching “Concepts of the Sommelier” at Montclair State University. This three credit University course grounds students in the principles of wine tasting, key varietal and regional knowledge, and the service expectations of the wine professional in both on and off premise settings. Stephen has also been actively consulting with the London-based research and business strategy firm, Wine Intelligence as a Research Associate specializing in the U.S. wine trade and consumer sector. In 2011, Stephen earned his Diploma in Wine & Spirits (DWS), with Merit, from the Wine & Spirits Education Trust in London. He is the proud father of three girls and with his wife, enjoys the hustle and bustle of the Garden State where he lives, in northern New Jersey.